RACE membership is for competitive rowers, especially those who want to enter British Rowing affiliated competitions. 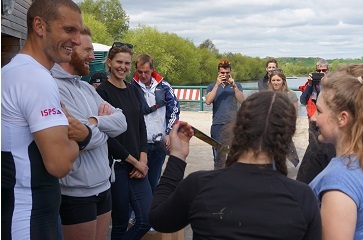 If you’re dedicated to training, focused on the next race and always looking to improve your performance, British Rowing RACE membership is here to support you in achieving your goals. Become a RACE member or renew today. Either way select ‘Join Now’. As a RACE member, you’ll receive a Race Licence for a year, you’ll have online access to your own RACE profile, allowing you to review your Personal Ranking Index and your racing history. Included in this membership is our specialist personal accident and third-party liability insurance, providing vital cover while you train and when you compete. You’ll also get access to British Rowing’s world-leading training resources, courses and guidance to help you perform at your best. Be part of a community of racers, to help improve yourself and your crew, so you can perform at your best on the erg and on the water. Find out more about the RACE benefits below. *The only benefit for Overseas Race Licence holders are the ability to enter into British Rowing affiliated competitions. Note no other benefit is available for this type. Please purchase your own insurance to race in British Rowing affiliated competitions. There are hundreds of affiliated competitions all year round, up and down the country, open to British Rowing members. Race along some of the most beautiful waterways in the country and explore the towns in which these head races and regattas are held. Find out more about the many competitions you can enter here. 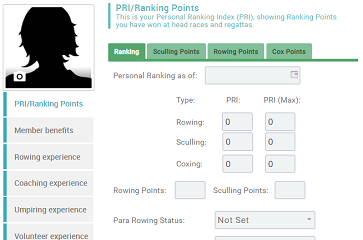 View your rowing performance, check your key statistics and review your race history as you clock up your racing performances. Receive a new plastic card, which will have your passport style photo*, your primary club and membership expiry date printed, each time you renew. This card should be taken to all races as your Race Licence. If you have any coaching qualifications, an umpire licence, current first aid training or your current safeguarding and protecting children workshop credentials then these will also be printed. Your card can also be used as a form of identification as proof of your coaching qualification, or as a licenced British Rowing umpire. 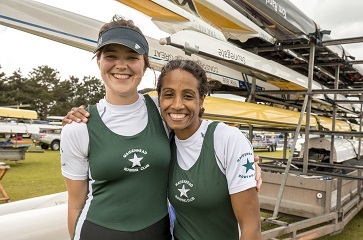 *Note that having a photo on your membership profile is mandatory as part of signing up to British Rowing RACE membership. This can be done when you log in or when you renew your membership. Your insurance is arranged by Howden – the UK’s largest independent insurance brokers. To find out more about your detailed member cover, go to our insurance micro-site. You can manage your subscription by logging in to their online account, clicking the ‘Member Details’ link, then the ‘Member benefits’ tab. 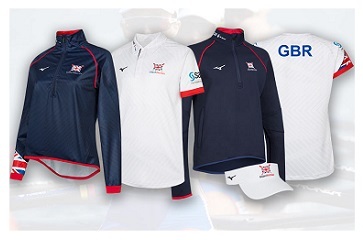 You will have the chance to be entered into competitions for exclusive opportunities with the GB Rowing Team; rowers, coaches and support staff. You can access you discount code by logging into your online account, clicking the ‘Member Details’ link, then the ‘Member benefits’ tab.